Gail Penberthy always delights us with her baby and children's quilts and cushions and this new one is absolutely gorgeous too. The bunny is made from fleece as are the flowers, using the fusible applique technique. 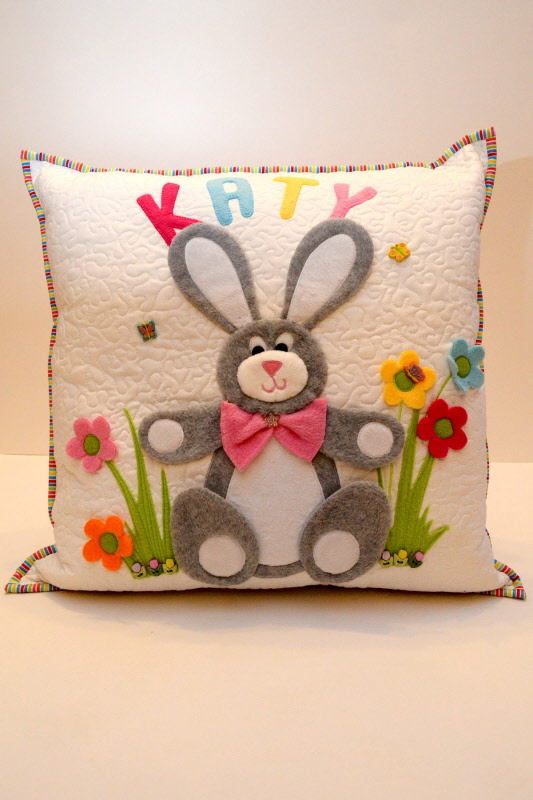 The cushion measures 20 inches square and includes the complete alphabet so you can put any name on it.